When you’re in a pinch, pardon the pun, and need some quick, inexpensive, yet effective labels for starting those seedlings, I’ve found clothes pins to be the way to go. Simply write the variety of seed in the container on the clothes pin and clip it on the pot. When the time comes to plant your seedlings in the garden, the clothespin can be switched to a bamboo stake and stuck in the ground. Of course, they can be decorated too, and you’ll find a plethora of ideas on Pinterest, but to be honest, other than Martha Stewart, who actually has time for that?! Also, I like to make my own newspaper pot containers to start my seeds in. Not only am I recycling, but the whole enchilada can be planted in the ground, when the time comes, which means those tender roots won’t be disturbed. Many plants do not appreciate being repotted or replanted. Since the newspaper will break down in the garden, there’s not muss and no fuss. My kind of gardening. 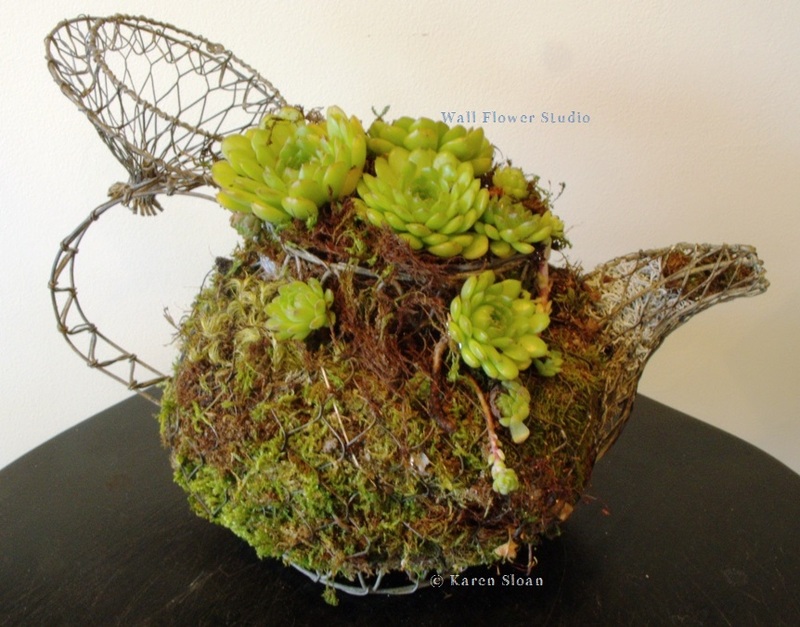 Succulents and moss – Perfect for any container! 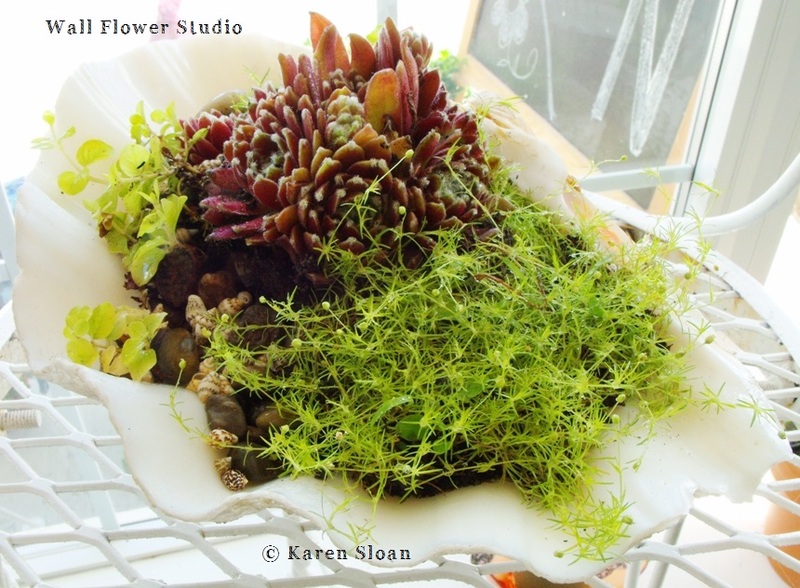 Succulents and moss just seem to go together like peas & carrots! It’s just as fun finding unusual containers as it is to plant them up! Thanks for stopping in! Have a great weekend.